Welcome to my studio log (aka SLOG) where you will find in-depth accounts of my projects and process, as well as information about exhibitions I am in, classes I am teaching, and other noteworthy endeavors. If you would like to join several other devoted followers and receive a digest of this content in your email please subscribe below. Here is a new year's update about my crazy schedule for the coming months in case anyone is trying to keep tabs on me. As you may know, I closed up my studio in Boston in the fall, and I am now in the midst of a 9 month long period of itinerant fellowships, residencies, and independent studies. First of all, I want to explain how this is even possible. I was incredibly fortunate in 2017 to win two remarkable awards. In the spring I was awarded a Massachusetts Cultural Council Artist Fellowship, which let me devote much of last summer to professional development (including making this website) and to devote the fall to technically challenging, experimental and so far non-remunerative new work. 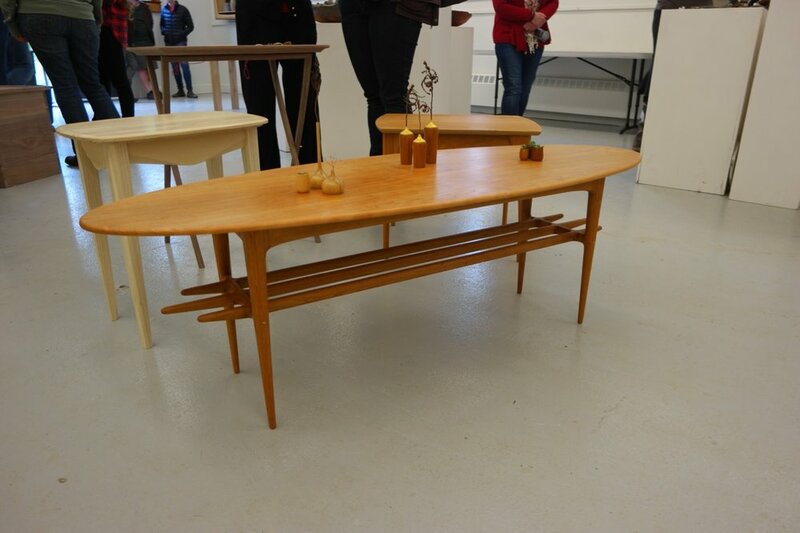 In September I received the John D. Mineck Furniture Fellowship from the Society of Arts and Crafts in Boston. 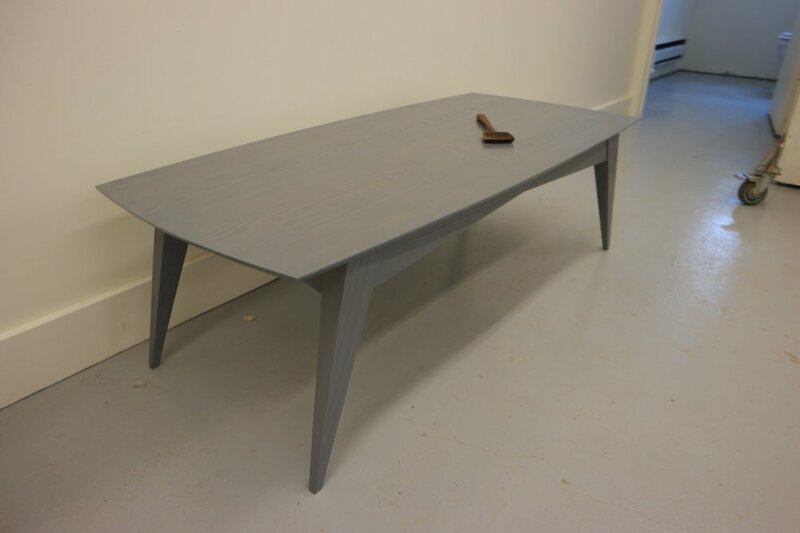 This fellowship is allowing me to undertake a self-directed course of study in digital fabrication technology, with a focus on how I can use the technology to aid in veneering compound-curving forms. It will also allow me to buy a CNC router and other equipment. 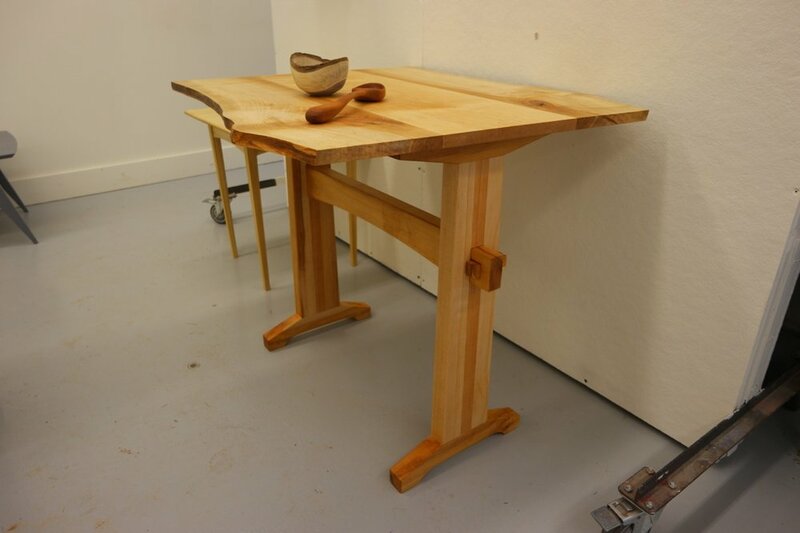 Currently, I am nearing the end of a 4 month long Studio Fellowship at the Center for Furniture Craftsmanship in Rockport, ME. This has been my third stint at the Center, and as always it's been tremendously productive to work in their finely-tuned shops and get feedback and technical support from all the knowledgeable folks on campus. I was able to get a head start on my veneering project and on learning to use CAD software and to operate a CNC router. It felt a little silly to spend my days sitting at a computer while surrounded by such fine regular woodworking equipment, but hey, the tools they are a changin'. In a couple weeks I'll be returning to another of my favorite haunts, the Penland School of Crafts where I'll be participating in their Winter Residency. 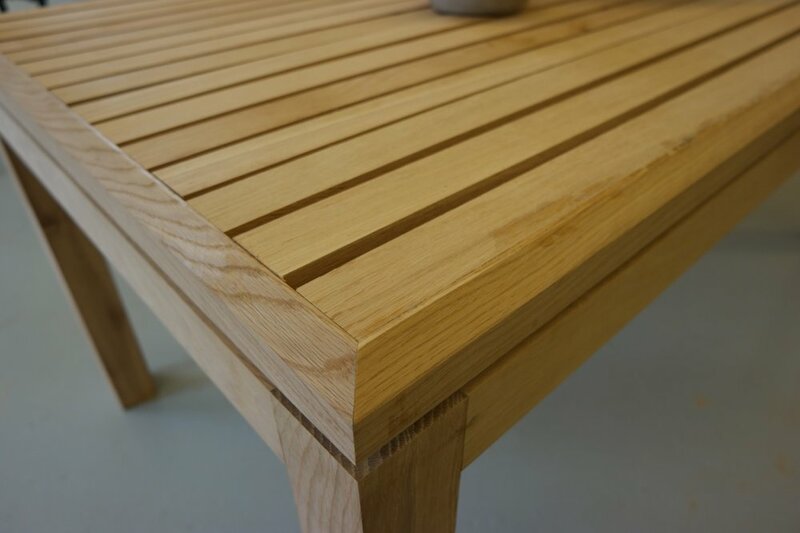 I plan to continue working with the CNC router, but will shifting gears slightly to focus more on how I can use the technology for product design and development. In March I am going to Newport, RI to spend two months working with and among students in the brand new Digital and Modeling Fabrication department at IYRS School of Technology and Trades. I will be piloting and helping to develop an artist residency program that will hopefully become a permanent part this new department. The concept is to introduce an artist or craftsman with a highly developed studio practice to the tools and technology of digital fabrication in hopes that they will bring fresh but refined sensibility to the field. Ideally, it will be a partnership that allows an artist to grow his or her practice through access to some extremely powerful technology, while giving IYRS students exposure to an individual who is new to the tools, but advanced in their ability to conceptualize, design, critique and quickly integrate the technology into their work. 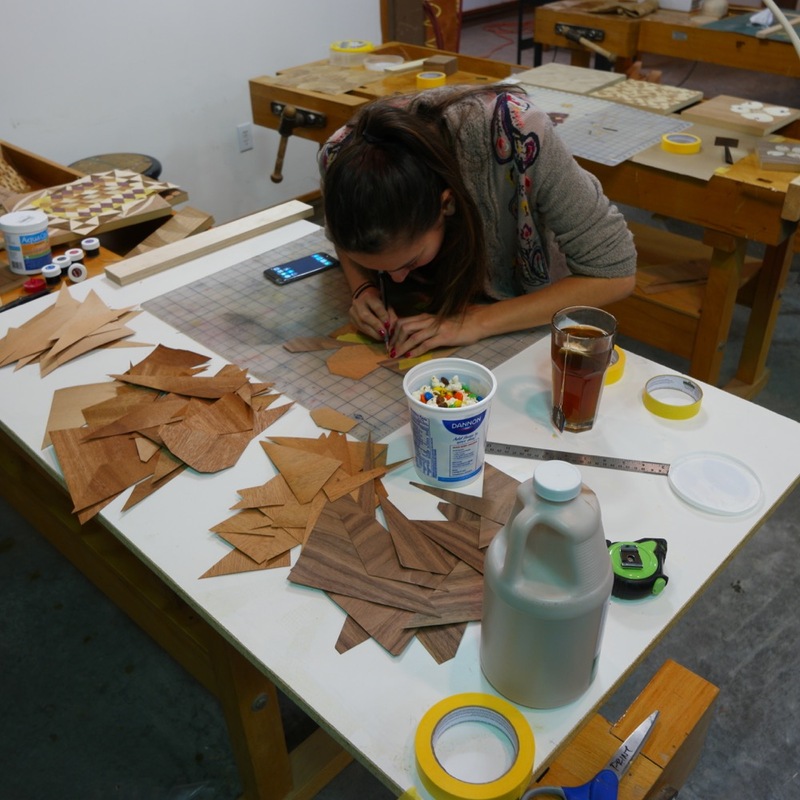 I believe this residency could also help mature the field of digital fabrication, which in my opinion is in need of more practitioners with the deep understanding of materials and process that is endemic to craftsmen. The question of how digital fabrication fits into my personal practice and the Studio Craft field at large is one I hope to explore more in the Slog, especially while I am immersed in the technology at IYRS. Check back if this is something you are interested in too. And after all that, I'll be heading to Philadelphia to attend the long anticipated Windgate ITE Residency at the Center for Art in Wood. I applied for this residency in winter of 2015! I'm amazed that the time has finally come around. I'm looking forward to spending a couple months in Philadelphia and joining the long list of esteemed artists who have been a part of this well-established program. I hope it has been worth the wait. For the last two weeks I have been teaching at the Arrowmont School of Arts and Crafts. 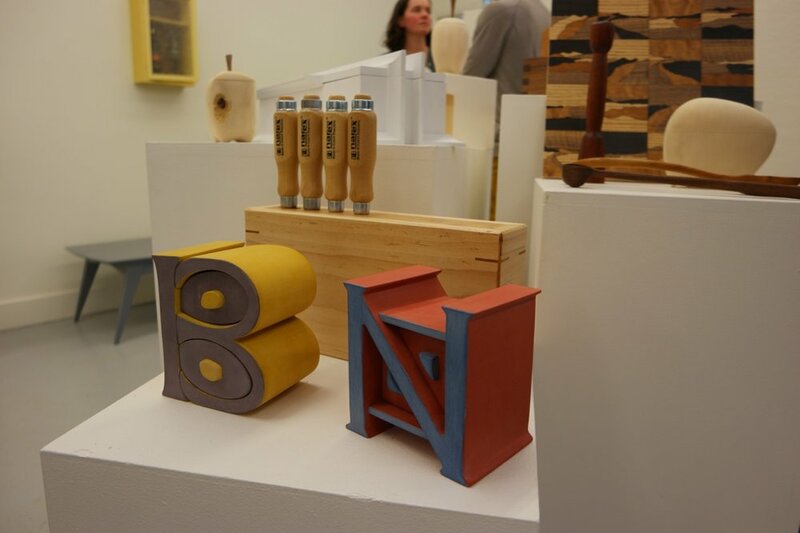 The class, titled Superficial Surfaces, explored a multitude of techniques for decorating and adorning the surfaces of furniture and other woodwork. 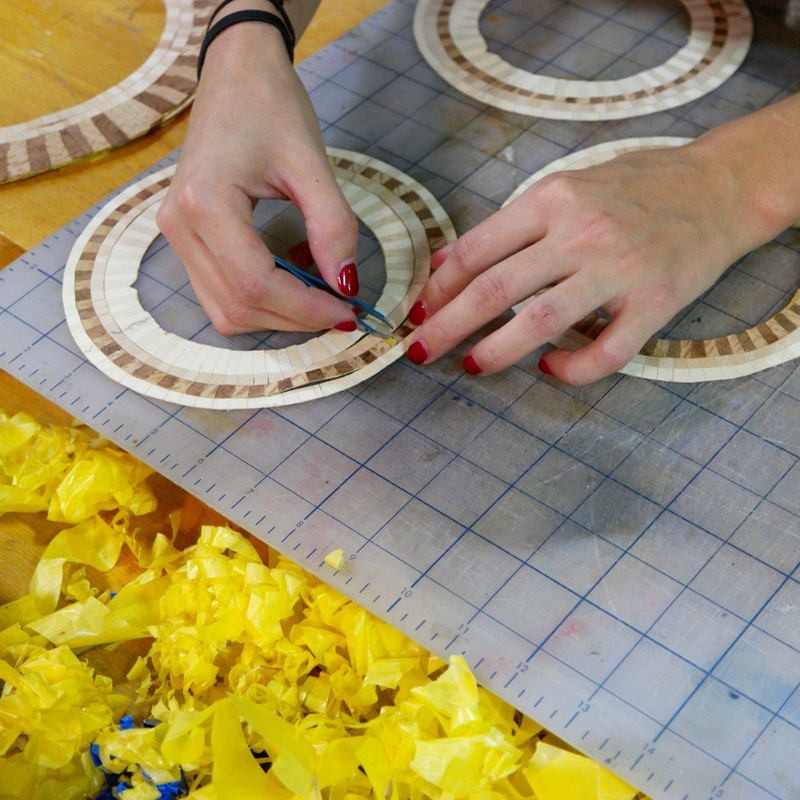 The first week was a technical smorgasbord in which I served up demonstrations in marquetry, parquetry, string inlay, metal wire inlay, and texturing/painting. In the second week students were able to explore one or two of these techniques in depth. I encouraged students to work quickly and without preciousness towards their creations; this class was about learning new techniques, not making finished products. I frequently encounter a crisis of identity when I try to describe myself with certain terminology: designer, craftsman, artist—they all seem alternately applicable to the nature of my career. I know this is mostly a self-inflicted conundrum. It’s not as though anyone ever insists that I define my work in narrow, exclusive or absolute terms. I hope that in time I will simply care less, but at this moment it’s something I mull over often, partly out of insecurity, but also in an effort understand and define my goals and values as a maker of things. I don’t actually believe there are divisions between these terms or that they are fixed in relation to one and other, but to me each word has the power to connote a different emphasis on how one is engaged in a creative act. Certainly a defining aspect of my work (one that I attribute to my craft training) is that in addition to being concerned with the aesthetics of an object, I am equally attendant to the“beauty” of process. I mean this in the same way one might describe a beautiful equation or piece of computer code—not really an aesthetic experience so much the idea that I have done something in the best possible way. In my case I am speaking about a synergetic combination of speed, economy, cleverness and pleasantness of actions that combine to create grace in process. This may not have an apparent visual impact on the object, but is at least an avenue for rigorous, striving engagement. I do also believe that a beautiful process tends to generate objects that have a clear, un-muddied quality, regardless of the particular aesthetic. Most of my projects leave limited room for deeply exploring the beauty of process. Though it is on my mind all the time, I am usually making a single, one-off piece, and there’s no opportunity to go back and redo steps unless I have really screwed up. However, once in a while I take on a project in which my goal is to deeply explore and refine my sequence and efficiency of actions. 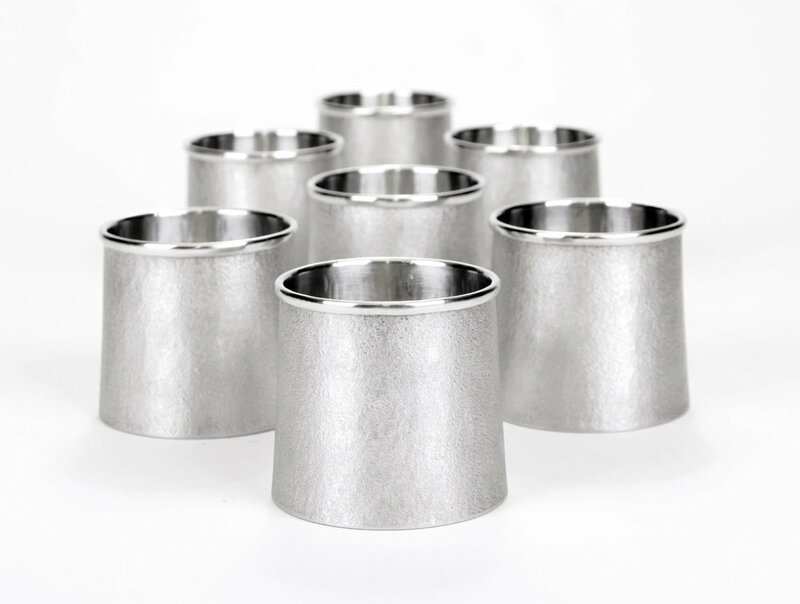 This simple pewter cup design is one such project. 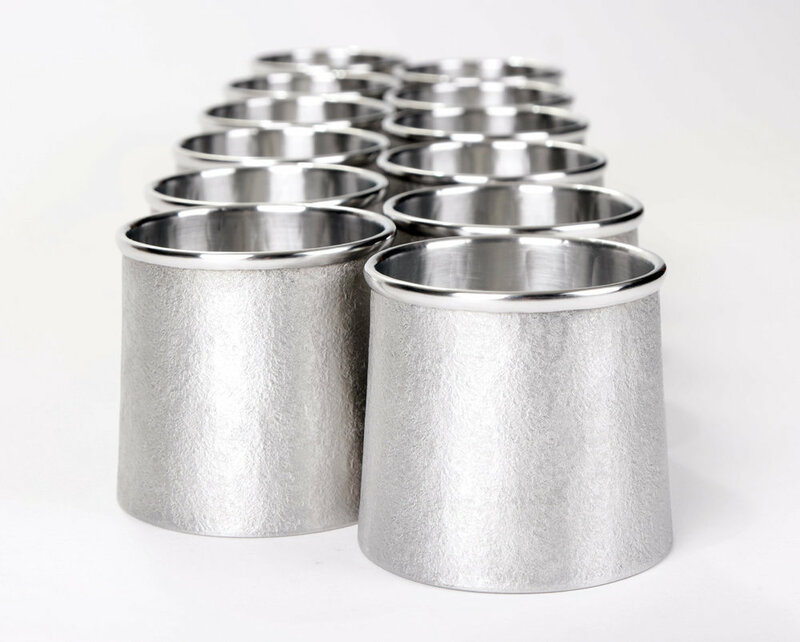 I have made it a few dozen times over the last three years in order to home in on a process that works within my limited tooling and design parameters, which are that it must be a versatile size, impart the perceived value of a hand-formed metal cup, be impeccably crafted and sell for less than $100 retail. Other than the price point, which is $160, I am satisfied with how I am making these cups, as well as with their look and functionality. Here’s a run down of my process in pictures. This is intended as a show-and-tell more than a set of instructions, but if you are interested in pewter-smithing and have any questions please shoot me an email. Click the first image to pull up a slide show with descriptions of each step. The parts are laid out on a 12" x 24" x .051" pewter sheet. The parts are sawn with a small bandsaw. If I had a Beverly shear I would use that, but this works well and the pewter is not so expensive that I am worried about losing the kerf. The cup bottoms are sunk into a leather sandbag. Then they are formed over a small, domed stake. Sometimes I planish them with a metal hammer, but with this batch I wanted the inside to be simple and smooth. 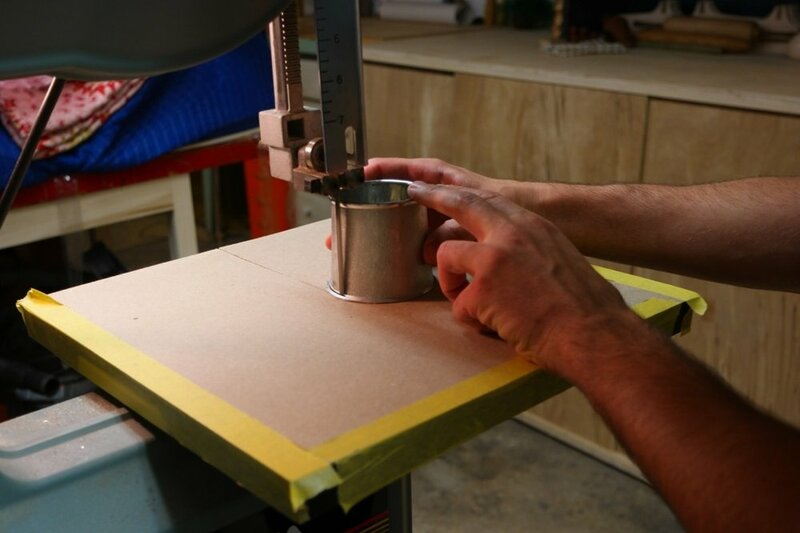 The part that will make the side of the cup is rolled up by hand. The seam is then fused. 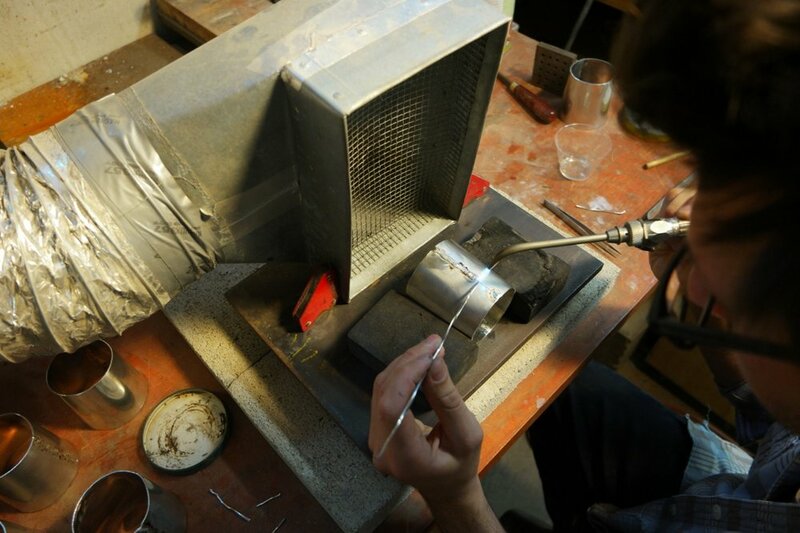 This is not soldering, it's welding (at 450 degrees!) New pewter is introduced to the seam and it's all melted together to form an integral pewter tube. It's then planished over a blow horn stake to make it round and impart an interesting texture. I use a variety of hammers when planishing pewter to create texture. Even brass is hard enough to transfer its texture to the soft pewter. In this case I bashed the mallet on my concrete floor until it was sufficiently distressed to impart a stony, matte texture to the cup. 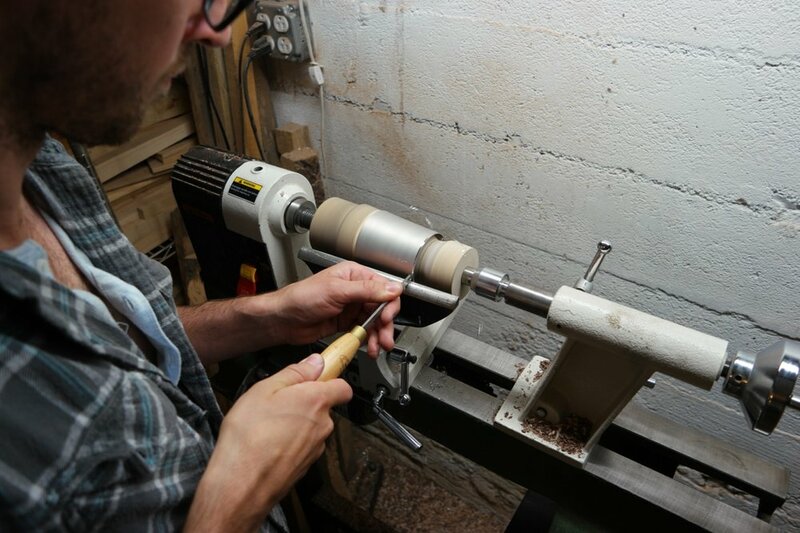 The top and bottom edges of the cup are trued on a lathe. 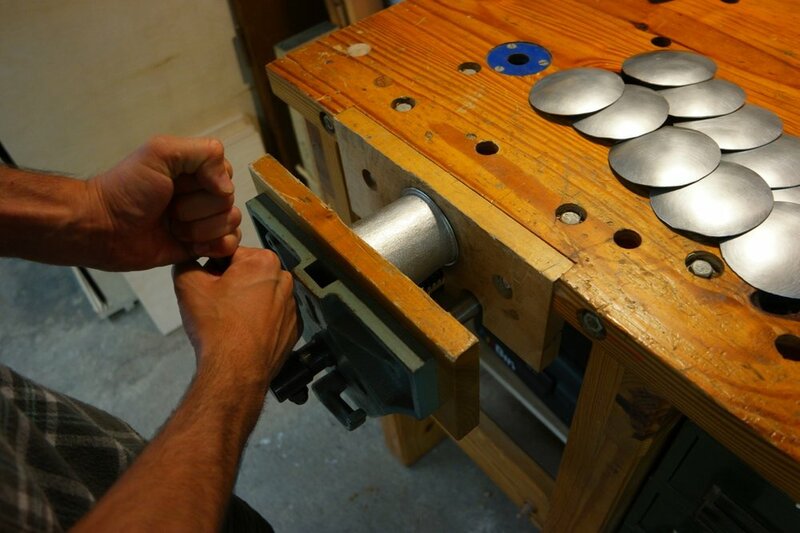 Pewter is so soft that in general woodworking tools are ideal for machining it. There is no need to use a metal lathe for this step. Doing this on a lathe was a huge improvement over my initial process of trimming the top and bottom with hand shears and flattening them with sandpaper. Incidentally, this is also when it dawned on me why tinsel is called is called tinsel. 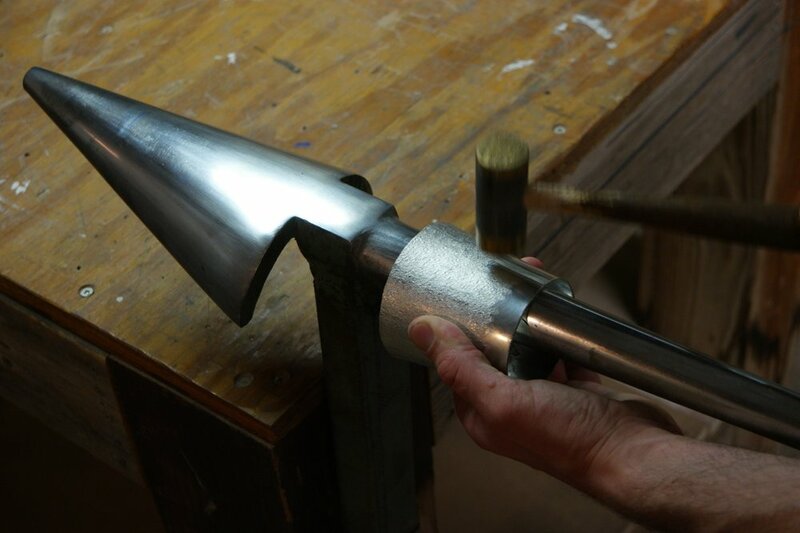 With the top and bottom edges true, I begin to form the rim over the narrowest section of the of the blow horn stake. The rim is further stretched with a flat mallet. 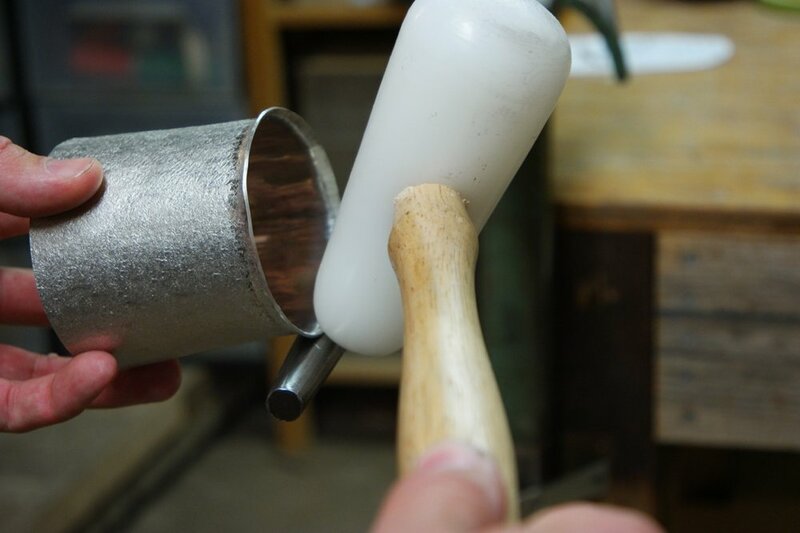 Then a great trick: by squeezing the cup extremely hard in a wood vice, the rim is both flattened and forced around until it begin to roll over on itself. It is pushed the rest of the way over with a mallet, supported by the other end of the blow horn stake. Finally, the rim is smoothed and polished back on the lathe. Voila. Doing the rim like this was the biggest technical improvement to my process. I used to make the rim by rolling out half-round pewter wire, forming and fusing it into a band, then soldering it on the top of the cup. This looked nice but took about an hour more per cup and was much riskier than my current technique. 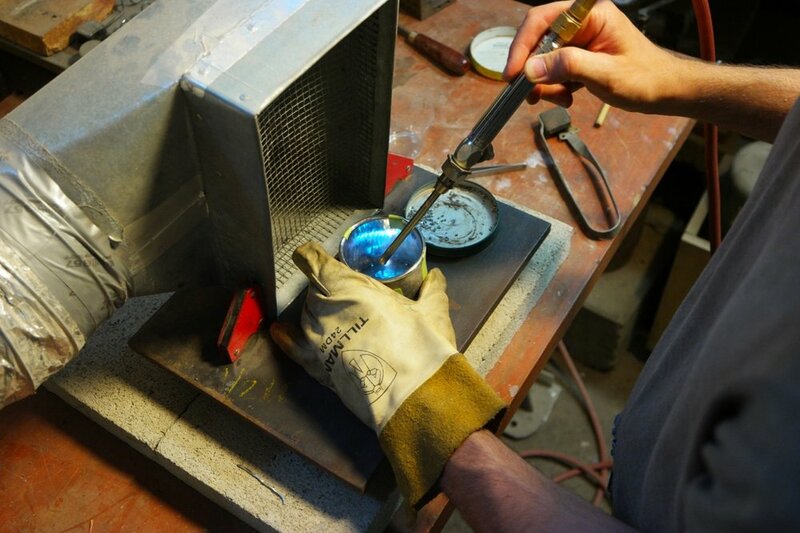 Polishing the rim always seems to be the most dramatic step in making the cup look complete and refined. 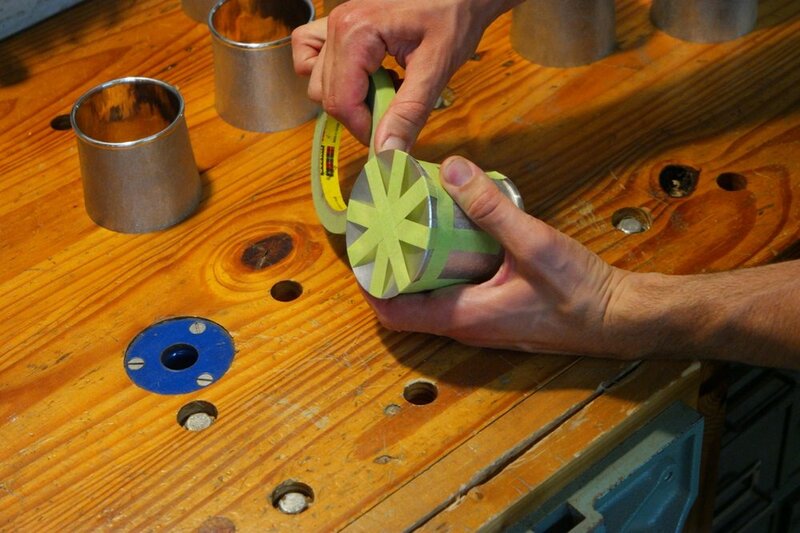 The bottom edge is beveled to accept the domed disk that will make the bottom of the cup. The solder I use melts at such a low temperature that the bottom of the cup can be held in place with tape! I cut the solder wire into small pallions. This solder has the addition of bismuth which lowers the melting temperature somewhat, though not so much that it is brittle. It is, of course, lead-free. I have to solder from the inside in order to not light the tape on fire. ...and closest with some final hand sanding. 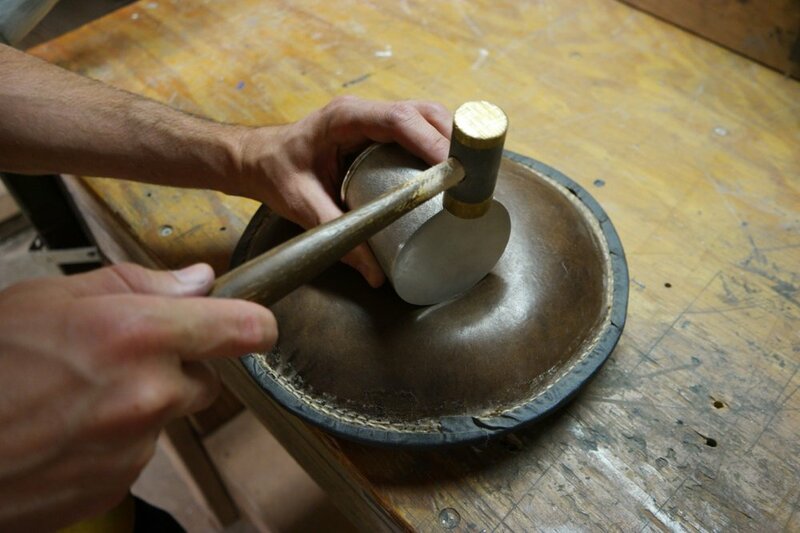 The texture is blended onto the edge of the bottom disk with the brass mallet. And the bottom is flattened. The very last step is to scrub it down with a fine scotch-brite pad to clean it and make a soft, matte finish. 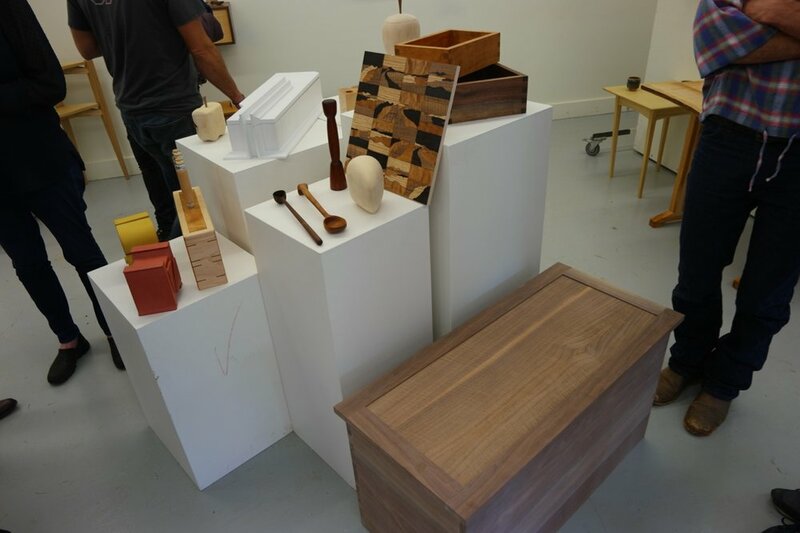 I recently returned to Boston after teaching a two-month long woodworking concentration at the Penland School of Crafts in the mountains of Western North Carolina. Over the years I’ve spent a lot of time at Penland in other capacities—as a work-study student and Core Fellow—and although I had a new role this time, the experience of living and working among a group of talented, creative and unusual artists was as seminal and moving as always. Teaching is a new endeavor for me, and I am beginning to see it as an excellent compliment studio work. For one, it encourages me to synthesize and articulate my often scattered knowledge and skill-set and, of course, points out the deficits therein. It also offers me a rare opportunity to inhabit a role in which my success is contingent on communicating and connecting with people rather than producing an object. As an instructor I called on aspects of my personality that are unnecessary and dormant in my solitary studio practice, and am glad to remember that I can (for two months, at least) be an affable person. 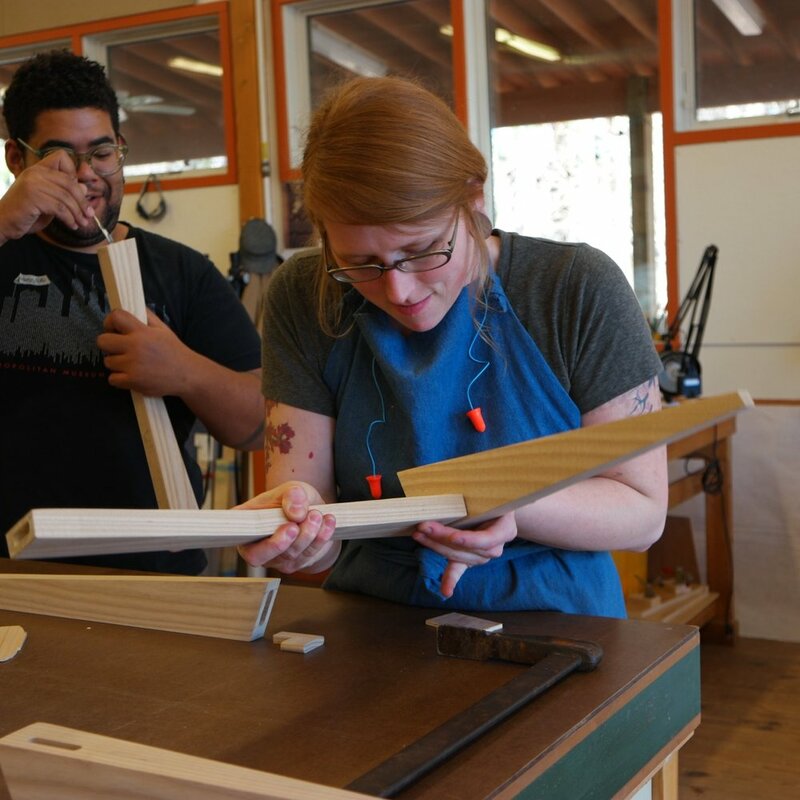 The course—an intensive, full-time survey of woodworking and furniture-making techniques—was by far the most ambitious and challenging teaching position I have yet had. 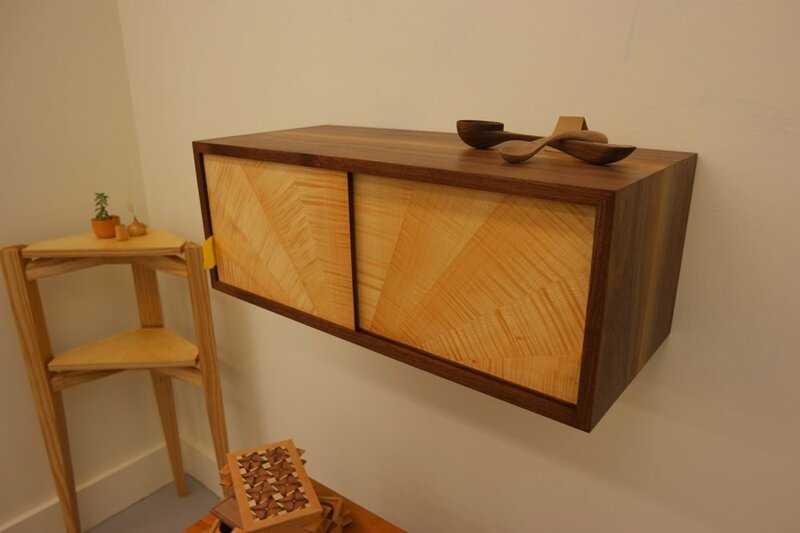 Titled Woodworking, It’s a Process, the class sought to give students a foundational understanding of the properties of wood as a material and the most common and useful ways of manipulating it. 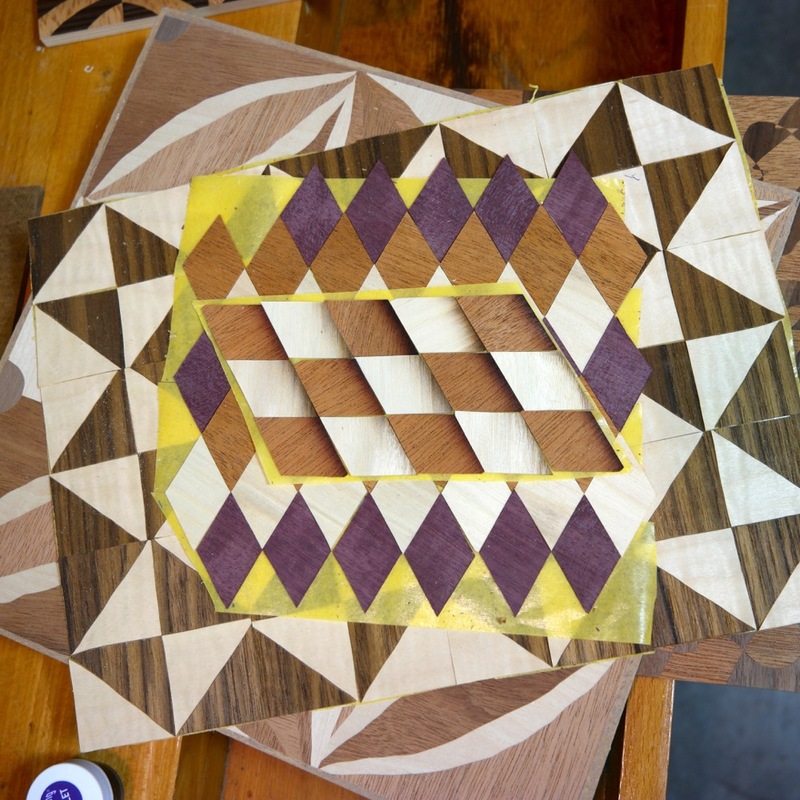 It also touched on some esoteric techniques such as marquetry and metal inlay. The first week was dedicated to working with hand tools which gave students an understanding of the challenge and importance of accounting for grain direction in their design and workmanship. 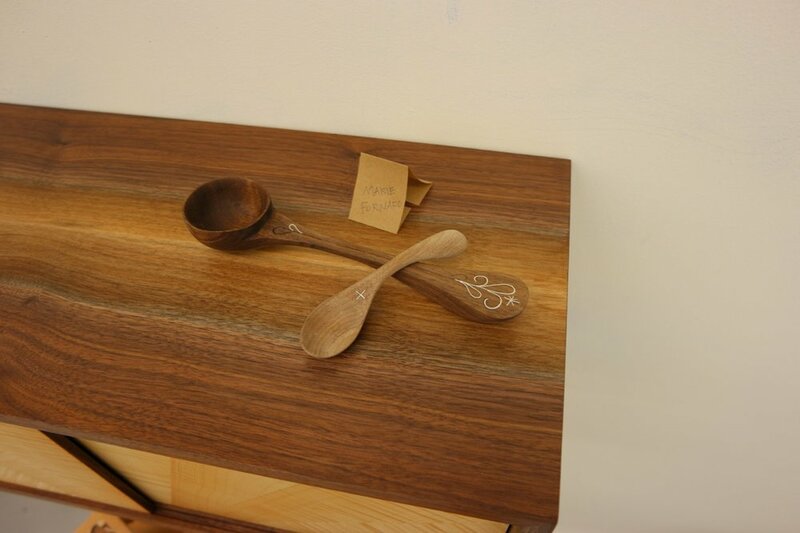 Students completed at least one carved spoon and one bandsaw box. 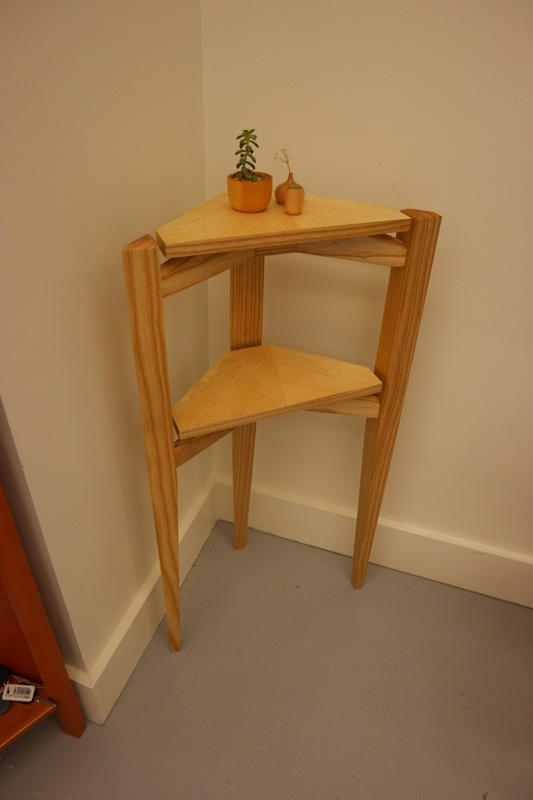 Following that they learned about mortise and tenon joinery by making a small side table or coffee table. We moved on to study the basics of carcass construction with a wall-hung cabinet project and reserved the final two weeks for a self-directed, independent project. 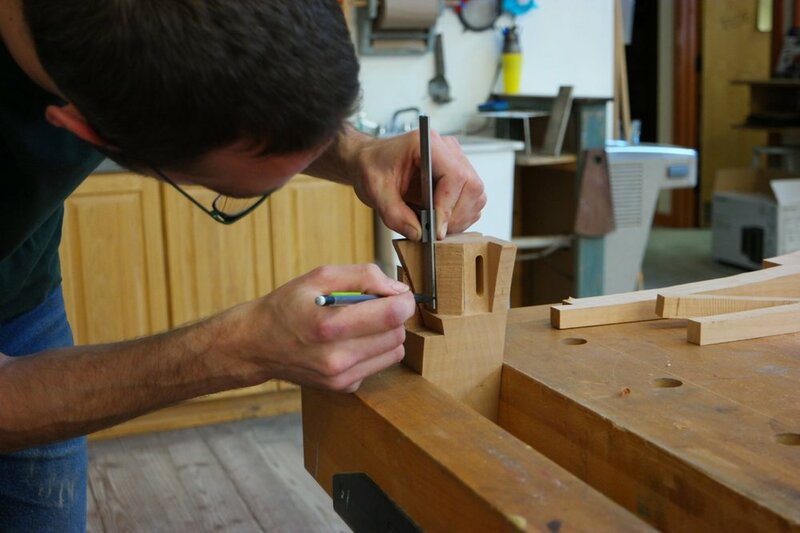 Although the primary focus of this class was on the technical aspects woodworking, we took time each Friday morning to step away from the tools and consider some of the often overlooked psychological and emotional processes inherent to any creative endeavor. Through readings by Annie Dillard, Mary Oliver, Robert Grudin, David Pye and Aldo Leopold we inquired into how our nascent, nebulous visions manifest as tangible objects; the tortuous dance between creative achievement and time; the increasing disunity of design and craftsmanship, and whether there is such a thing as manual intelligence; and the conceptual implications of manipulating a material that is a historical record (of sorts). These are lines of inquiry that—for me, anyway—spark curiosity and engagement in my process and blaze the trail to new creations. Thankfully my students were willing to indulge me in taking them down this path. There’s always some risk in signing up to spend two months in close quarters with a group of individuals you’ve never met. I’ve been in classes that to no one’s fault were plagued by a discordant combination of personalities. You can imagine my relief and gratitude as I discovered that my students were truly one of the most engaged, dynamic and joyful groups of people I’ve had the pleasure to know. Although my demonstrations occasionally bordered on farcical due to the quantity of banter and inside-joking, a culture of good humor and camaraderie was evident always—like that evening when I returned to the shop to find every single item on my workbench (even a nickel) adhered down with powerful double-stick tape, a prank I found both hilarious and impressively thorough. One thing, however, that brought some fun and novelty to these otherwise monotonous days was that my friend Jesse had taken it upon himself to produce a short film about the making of the door. Jesse works for a documentary film company just a few blocks from my studio and often comes over for an afternoon coffee. When I told him about my plans for this project he decided to start bringing a camera over and filming bits of the process, thinking it was strange enough to document. I obviously could not have been more thrilled than to have a professional filmmaker offering to document my process for the price of a reheated cup of coffee and a chocolate biscotti (if there were any left). Jesse and I have been friends since childhood, and one of our main activities as kids was to make gratuitously gory live action and animated short films, which later progressed into a fairly serious interest in claymation that we pursued into our early 20’s. For this reason, having Jesse in my studio filming me at work was actually a familiar and stress-free process. Originally, we both thought this would be more of a typical “how it’s made” video with an explanatory narration over footage of me at work, but after one session of filming, it was clear that there was something in the austerely dim environment, and the way the small sounds of my work cut through the cave-like silence of my basement studio that warranted a different approach. Jesse decided to home in on the strange, percussive soundtrack of my endlessly repetitive actions—the slicing of veneer, the peeling of tape. Jesse brought as much craftsmanship to the video and sound editing as I did to the door, and I’m so glad that both these projects are now complete and out there in the world. You can see more of Jesse’s films on his website or Vimeo page, and you can see more images of the finished door by clicking here.